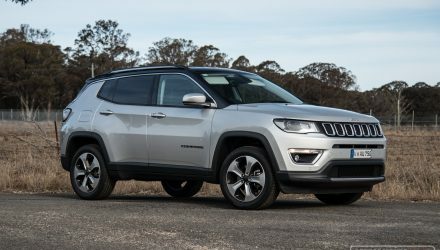 Ever since the new-look Grand Cherokee hit the market in Australia last year, it’s been a sales hit, placing enormous pressure on the popular rivals. 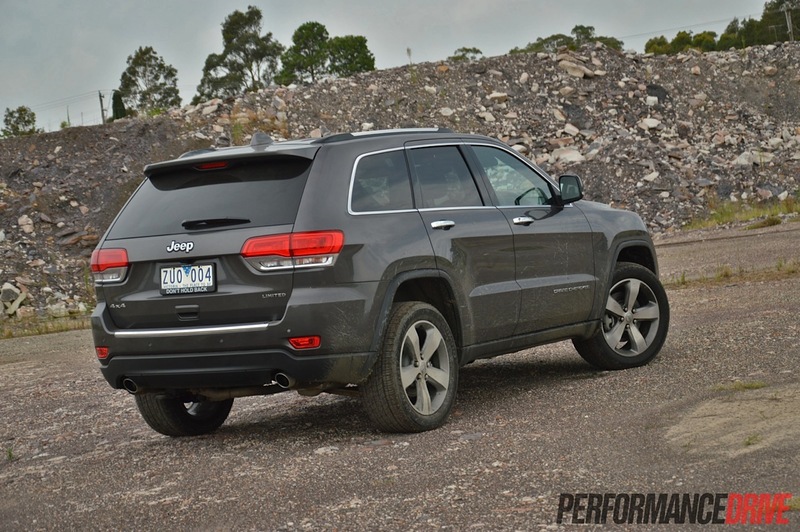 The 2014 Jeep Grand Cherokee receives a number of refinements and gets a much-needed eight-speed automatic transmission, further boosting its appeal. 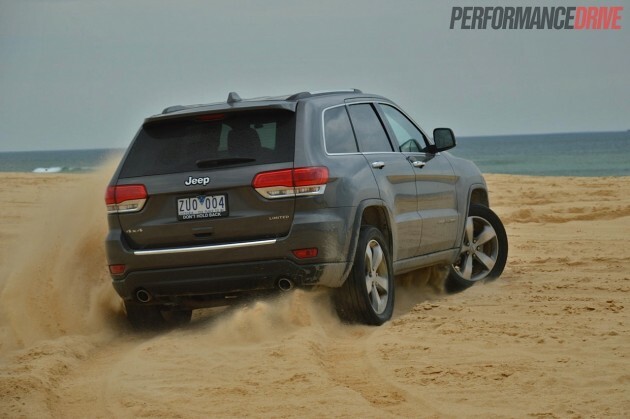 Last year, Jeep Australia sold 12,931 examples of the Grand Cherokee. 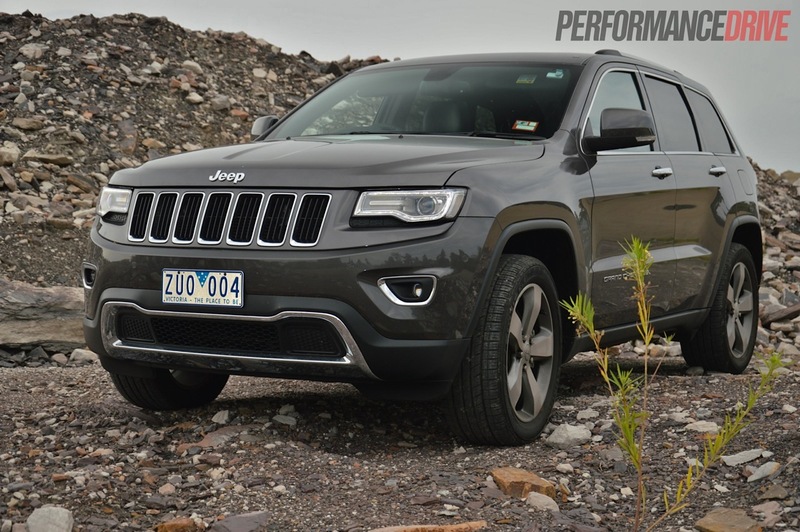 This made it the fourth most-popular vehicle in its class, only to be overshadowed by an extensive and highly competitive set of rivals, including the Toyota Prado (14,568), Ford Territory (14,261), and Holden Captiva 7 (13,282). Like the 2013 version, the 2014 comes in a number of flavours with a number of different engine options. 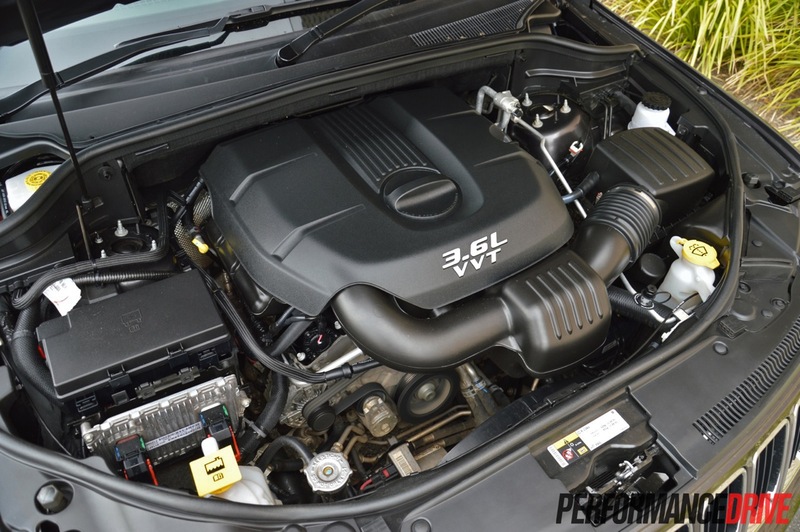 There’s a 3.0-litre turbo-diesel, a 3.6-litre V6, and a 5.7-litre V8. 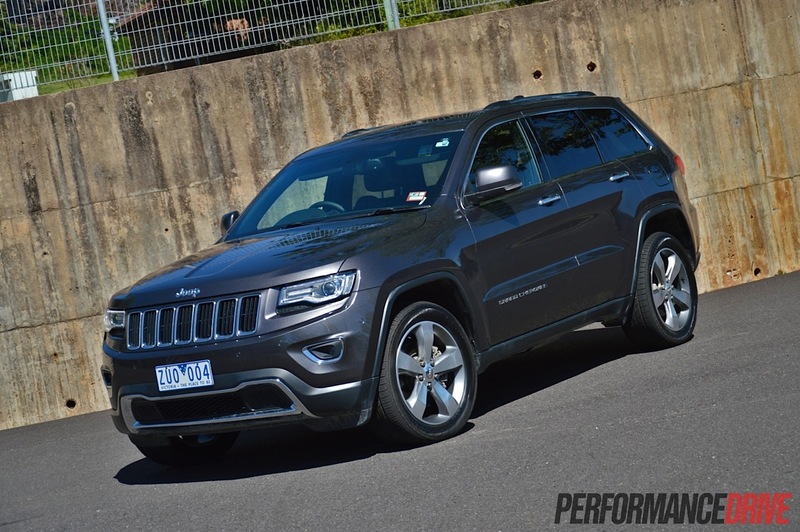 There’s also the mean-looking and brutally powerful 344kW SRT with its 6.4-litre HEMI V8. 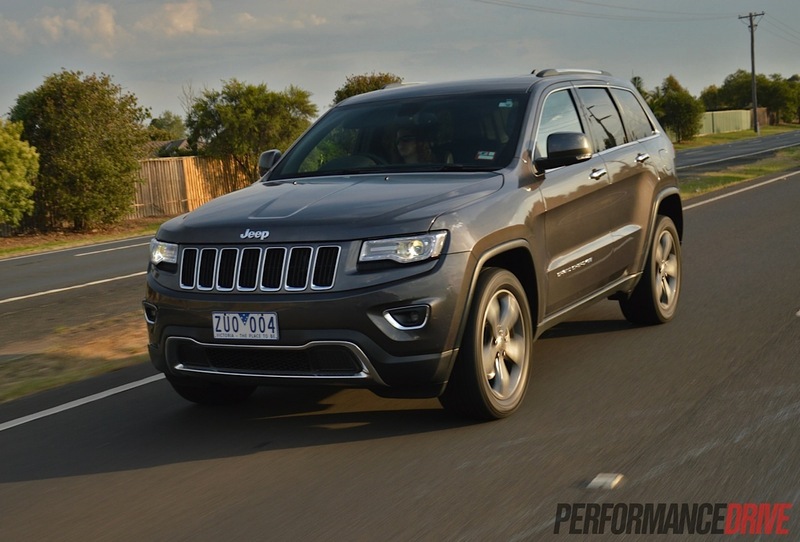 Here we’re testing the 3.6-litre Pentastar petrol V6. Chrysler-Jeep first introduced the engine in 2011, so it’s still a relatively new unit. It produces 210kW of power and 347Nm of torque. 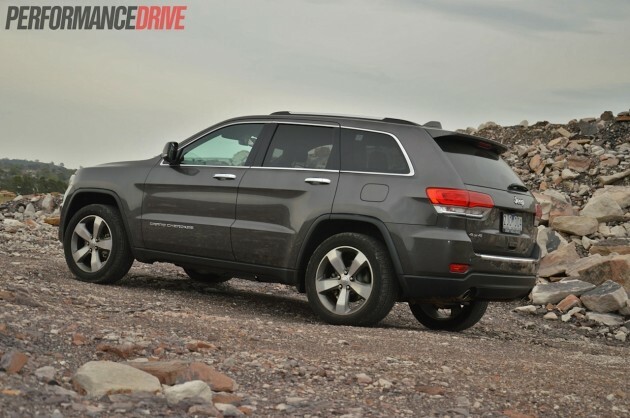 All models and engines are backed by an eight-speed auto, which was introduced mid last year. 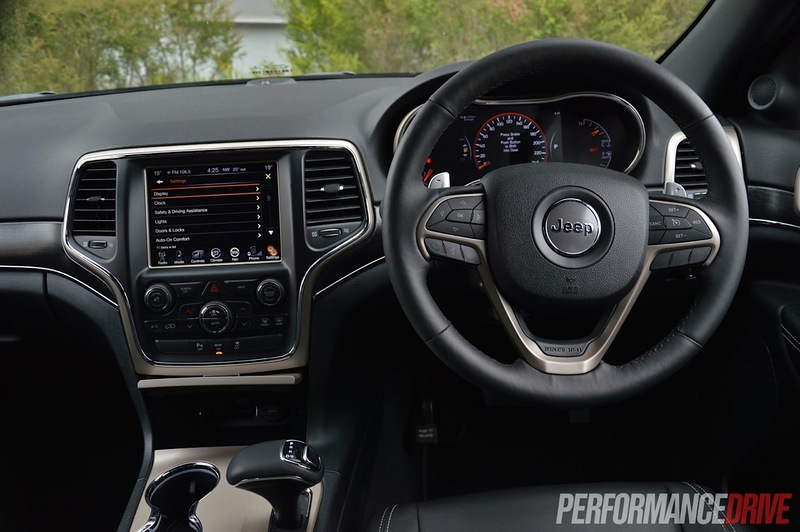 The engine’s power is now spread across a wider range of ratios compared with the previous five-speeder, providing better acceleration and a 5.4 per cent improvement in economy (official average 10.4L/100km). Although rear-wheel drive models are available in the lower end of the range, this Limited variant uses a Selec-Terrain full-time four-wheel drive system with adjustable driving modes. Prices for the V6 Limited 4×4 kick off at $56,000. As you probably said to yourself while reading it, the price tag is fairly reasonable for a large, imposingly luxurious SUV. 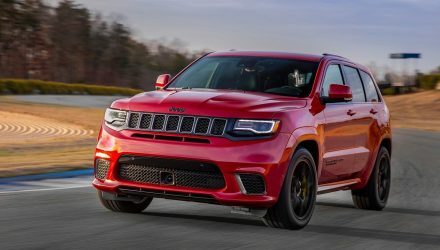 Keeping that initial price tag in mind, the Grand Cherokee Limited comes with a very impressive list of standard features. It’s all quite prestige as well, with a distinct luxury yet simplistic feel to it. 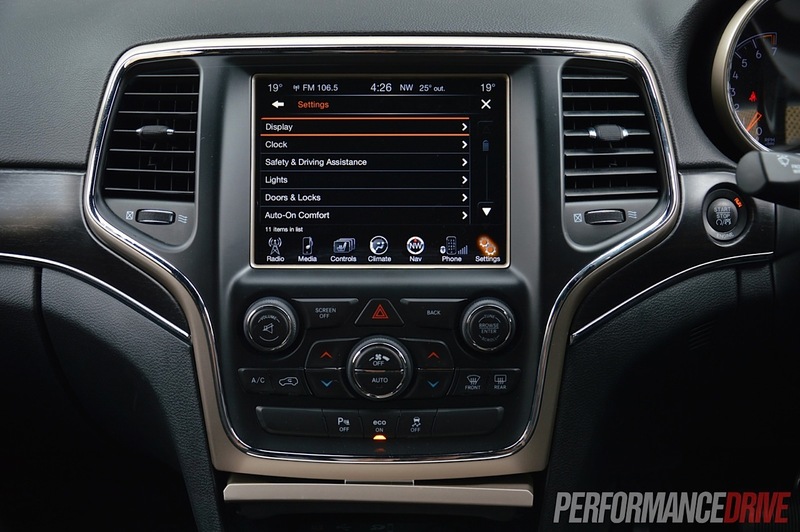 The highlight of it all is the new Uconnect multimedia interface with its impossible-to-miss 8.4-inch touch-screen. It’s a huge screen and almost square, like a TV. Unlike the fidgety mobile-phone-sized interfaces you get in some of the more expensive rivals, the Uconnect system is very easy to use with clear graphics, well-organised menus and large ‘buttons’, and lots and lots of goodies to play around with including sat-nav with off-road maps, vehicle settings, and a powerful nine-speaker, sub-woofer-enhanced stereo system with multi-format support. 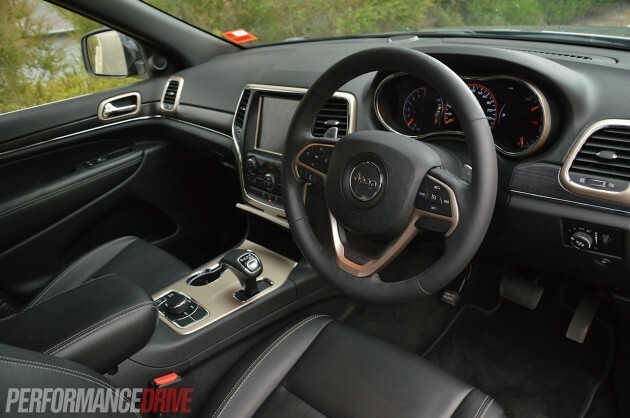 All occupants are pampered in a full leather upholstery, with heated seats in the front, dual-zone climate control, adjustable vents in the back, and heating functions for the two outer rear seats. 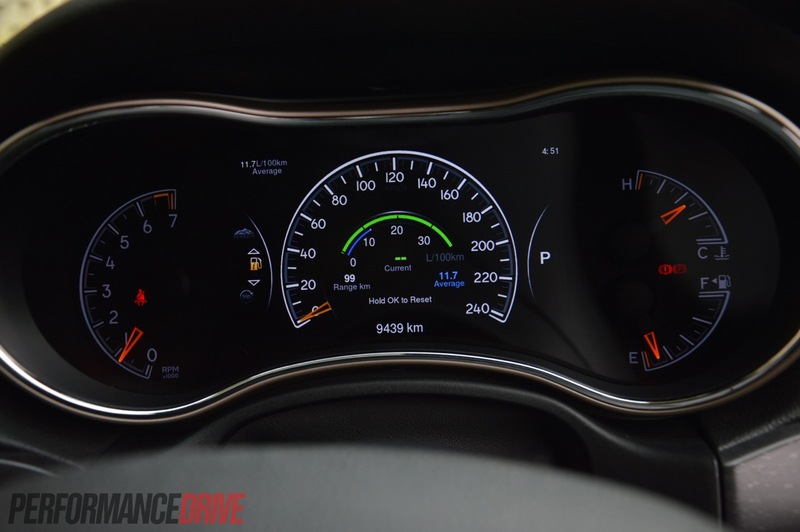 For the driver, there’s an electronically adjustable steering column and new-for-2014, a full LCD instrument cluster with awesome graphics and various display modes. These LCD gauges are really cool as you can customise the readouts to suit your preference, with a digital or analogue speedo, vehicle status telemetry, and fuel economy monitoring. If you’re thinking of buying one of these big bad boys, chances are, you’re after lots of cabin space. 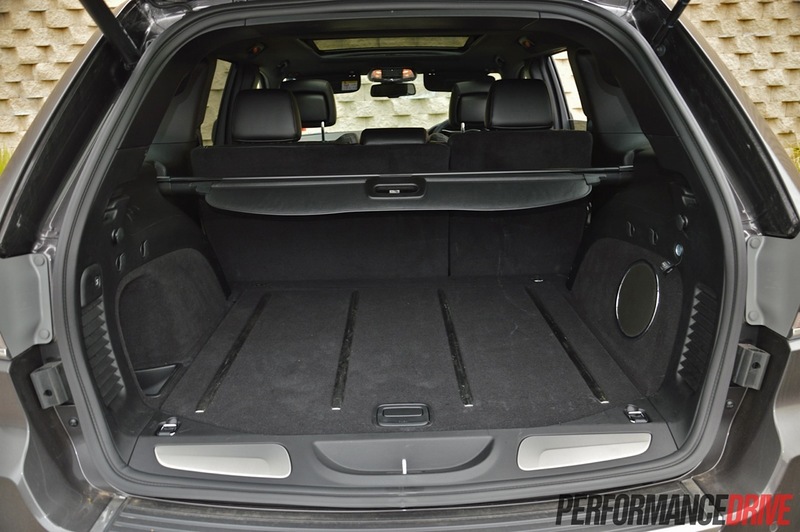 You’re in luck with the Grand Cherokee, it’s huge in here. About the only area that isn’t massive is the centre console box. For some reason Jeep has decided it would be best filled with the CD changer, which occupies almost all of the box. The rear seat space is abundant for leg and headroom, and in the front you’re perched up in what you might as well call single-seater lounge chairs. With electronically adjustable front seats, you can easily find an ergonomic driving position, while the back bench can also be reclined for a comfy laid-back cruise. Cargo space is just as accommodating, with 782 liters on offer with the rear seats up or 1554 litres with the rear seats folded down. They fold completely flat too, and the floor features robust chrome strips to protect the trimming when sliding large objects in and out. There’s even a handheld torch which plugs into its own special socket which could come in handy during those camping trips. 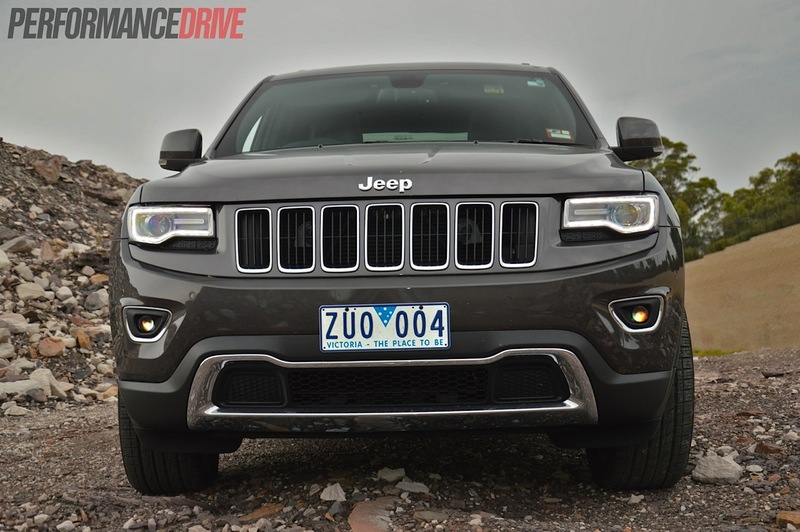 The Grand Cherokee is surprisingly quiet to drive, with very minimal road roar or even wind noise despite the relatively boxy exterior shape. 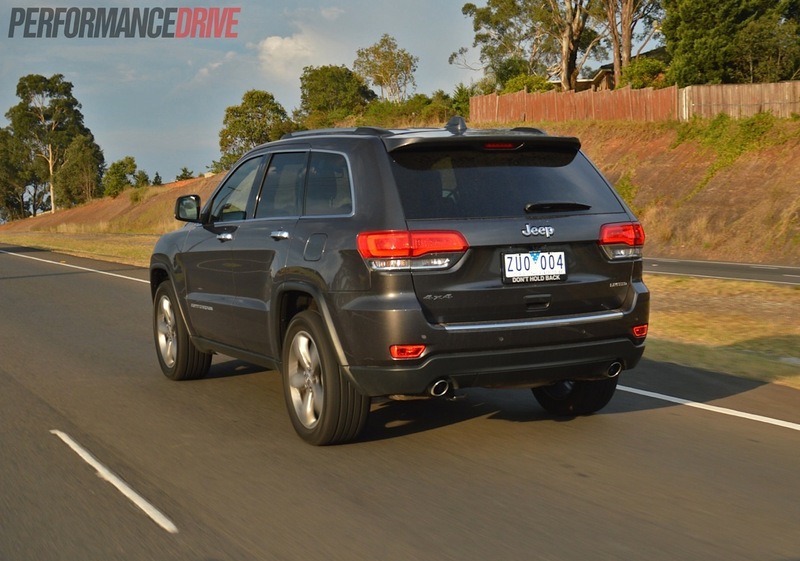 It’s a relaxing luxury vehicle for long highway journeys and doesn’t crash or shudder over bumps in suburban areas. 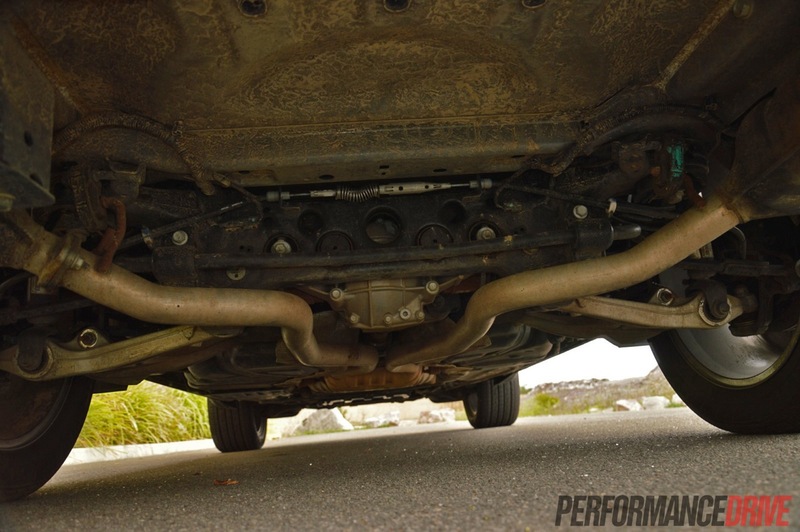 The fully independent suspension is good for comfort. 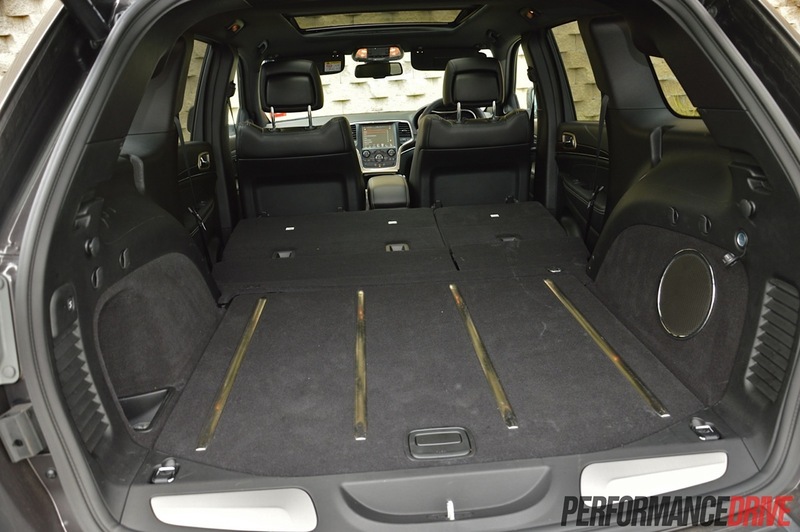 At the rear, it also allows the spare wheel to be kept under the cargo area floor as opposed to being bolted up from underneath ready to snag rocks and other protruding bits of terrain. Ride comfort in the front and back is silky smooth. 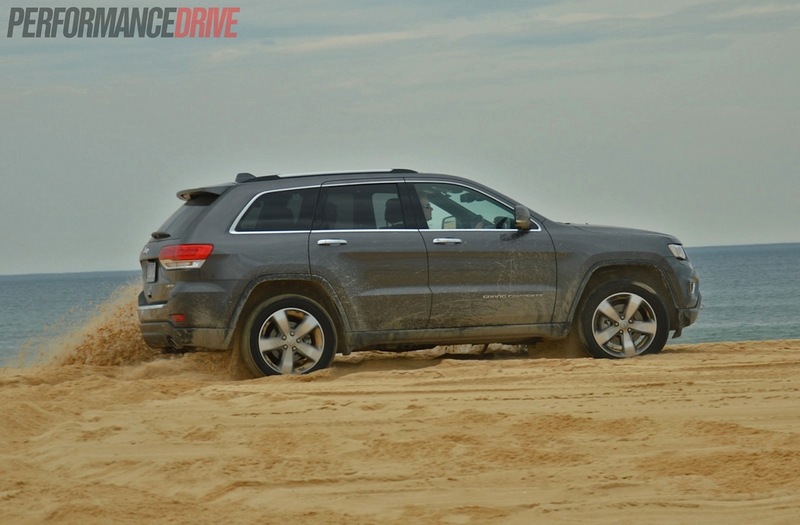 If you didn’t know it was a fully-fledged off-roader, you could mistake it for a large family sedan in terms of ride and smoothness on the road. 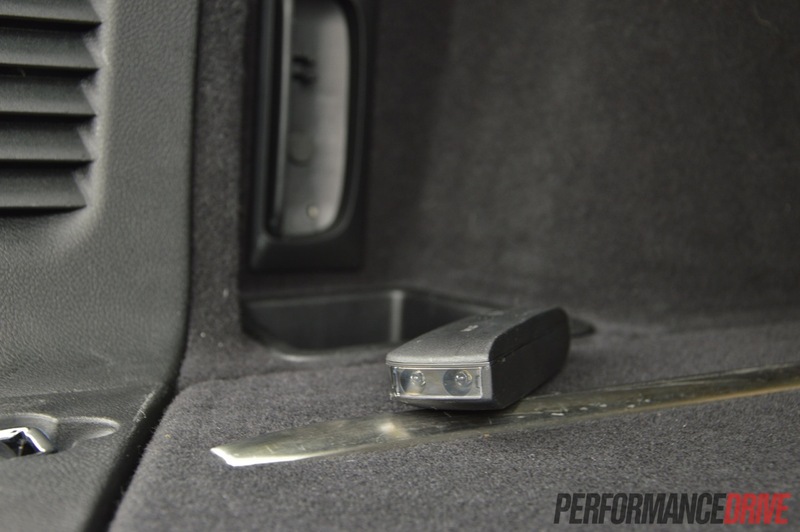 Where it starts to separate from being anything near a sedan is in the steering and handling. The steering system is very light. Almost too light. 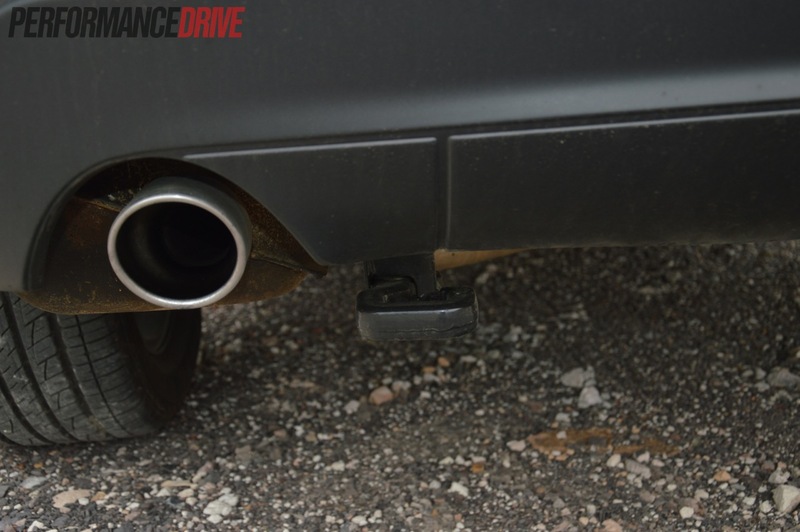 Match that with the soft and cushy suspension and you’re left with a driving character that can come across as a bit nervous, especially if you try to throw it around with any sort of aggression. It’s 1802mm tall, but the centre of gravity doesn’t feel too high. It feels planted and solid on the road, like most of the 2169kg mass is located below the cabin in the bed of the chassis. The steering is the part that’s flawed here, and the initial movements of the suspension, resulting in a user-friendly yet flimsy character. In saying that, it’s simple to drive and the turning circle is excellent for a vehicle of this size. 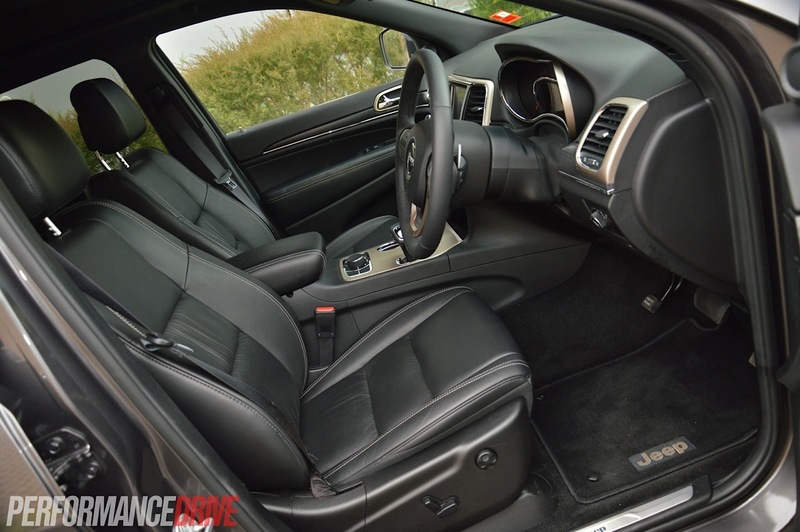 Using the power of the 3.6-litre V6 is rewarding, however, you need to put your boot right into it before it really shifts. Maximum torque (347Nm) is low and available at a relatively high 4300rpm, which explains why the engine needs to rev before handing over some decent shove. The performance won’t blow your socks off. We timed 0-100km/h in 8.4 seconds during our test. 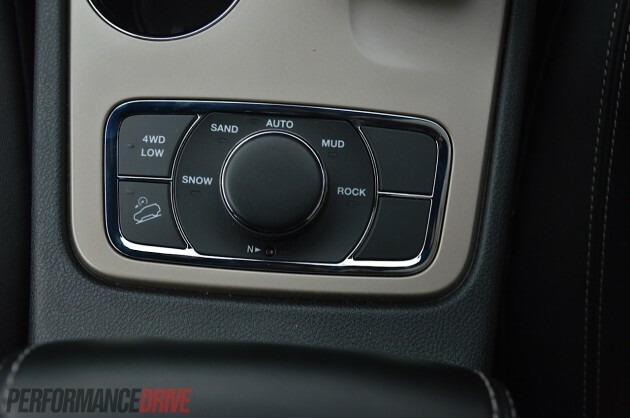 Fortunately, the new eight-speed auto is a delight for the engine as it allows it to spread its low torque across a wide range of ratios, quickly dispatching each gear and its respective speed. It can feel pretty quick once you’re up and going and working through 3rd and 4th gears. 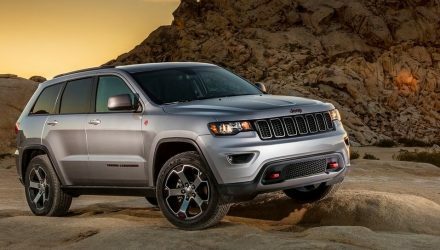 Although you might not want to take this rather handsome beast off road, Jeep is renowned for producing excellent, purpose-built all-terrain conquerors. 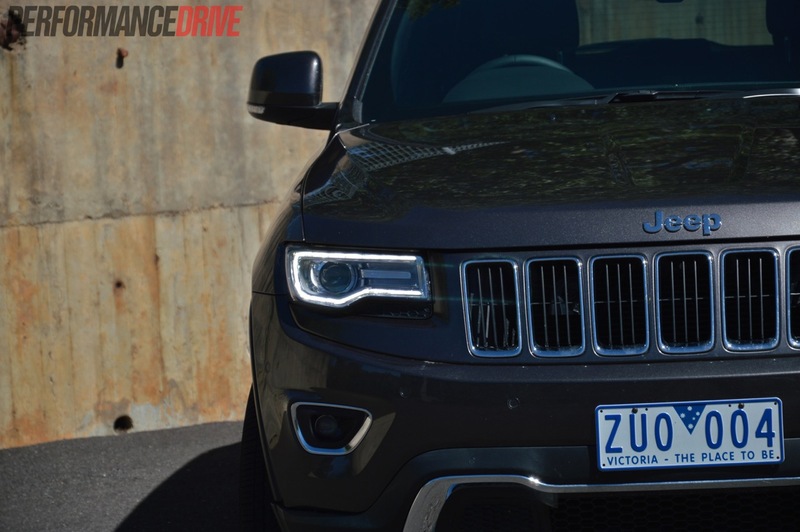 And the company’s personality hasn’t been forgotten in the creation of the Grand Cherokee. The Limited is equipped with a comprehensive off-road drivetrain that comes with various driving modes to help it tackle different types of terrain. We found the control unit to be effective on the dirt and mud as it allows some wheelspin but not to the point where it loses ground. 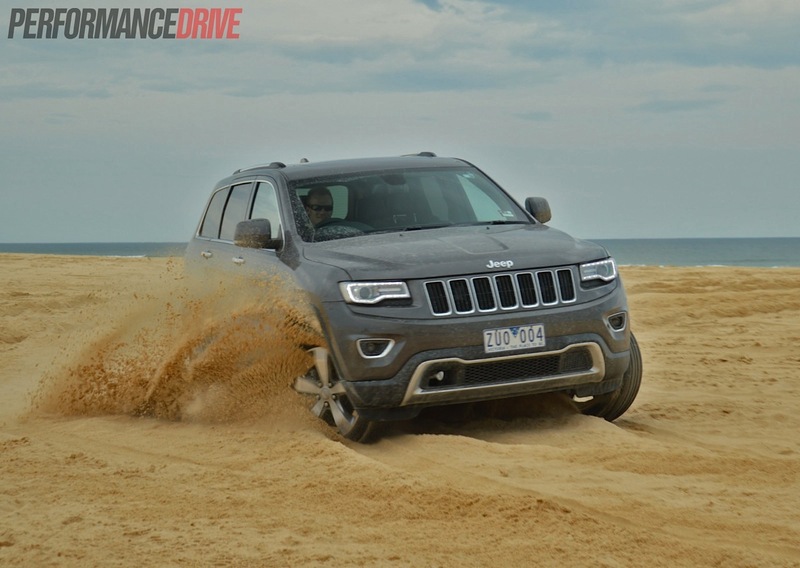 The comfy suspension does well to soak up bumps and ruts with minimal cabin disturbance too. 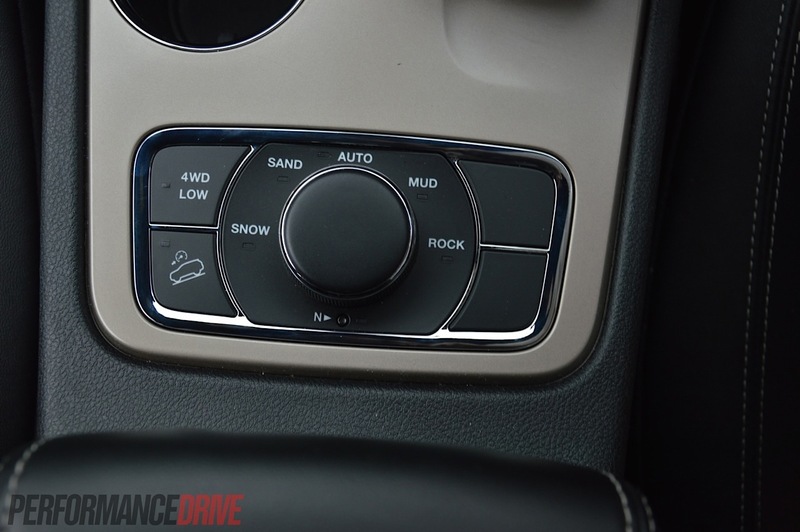 There is one driving mode that made us rather curious though, the ‘sand’ mode. 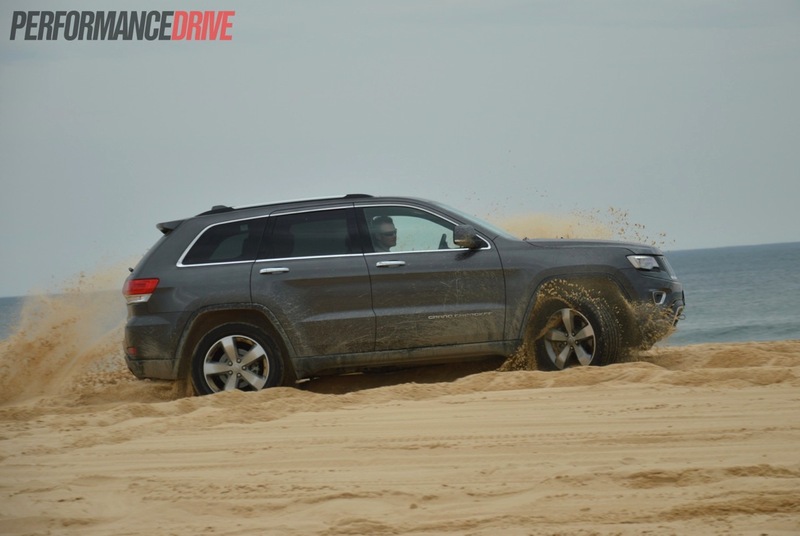 So what better way to test it out than by hitting one of the driving beaches in Newcastle. To get to the beach at Redhead you need to trek along a very soft section of sand before you actually reach the shore. It’s here where the Jeep found it most difficult. 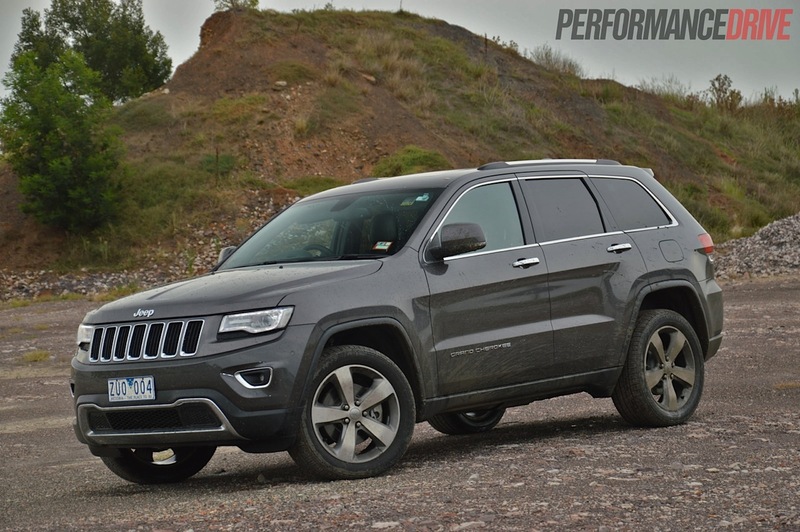 Even with just 13psi in the moderately low-profile tyres (265/50), the Grand Cherokee just couldn’t forge through. On the day the sand was the softest it had been in a while, according to a local that we spoke with. Funnily enough, the local was only too happy to tow us free in their modified Jeep Wrangler. 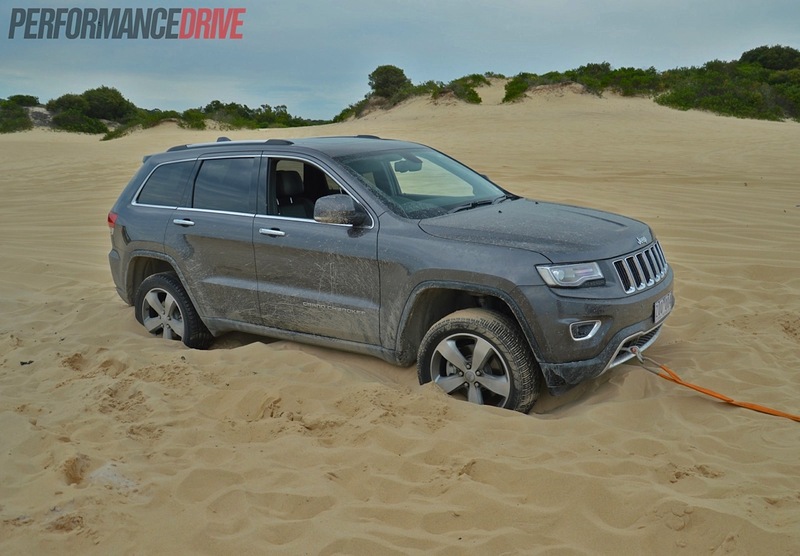 Once we were out next to the waves the Grand Cherokee had no trouble. It’s lots of fun. It has the presence of a muscle car and gets a lot of respect for it. It’s packed with equipment usually only seen in high-end luxury cars. 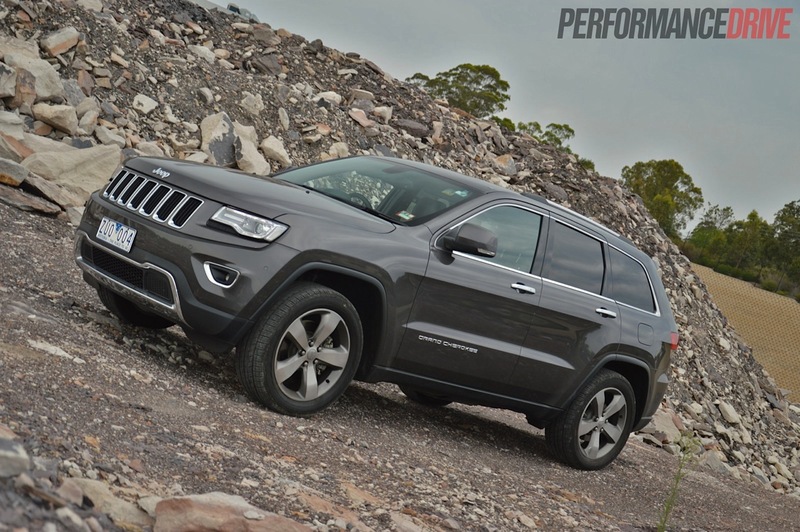 And it manages to offer a good balance between on-road comfort and off-road aptitude. The best element in our opinion though is the price. When you consider everything that’s on offer it really is a bargain. As for the drawbacks, for us, it needs more torque. The V6 is a nice engine and reasonably fuel efficient by itself (we averaged 11.1L/100km), but in this mammoth SUV it can feel strained. We’d go for the 3.0-litre turbo-diesel V6 in a heartbeat. It offers 184kW and a strong 570Nm. Fuel economy is also outstanding with an official rating of just 7.5L/100km. 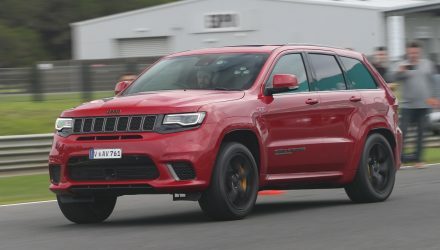 Either that or go for the full-blast SRT monster.